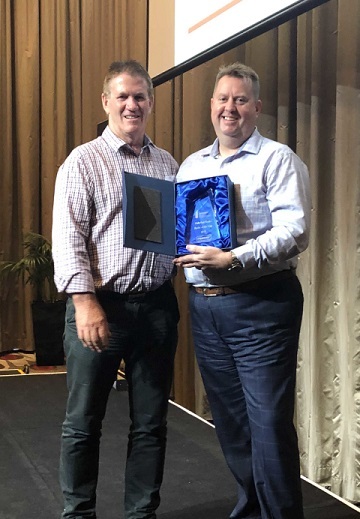 Penske Commercial Vehicles has presented Wakefield Trucks with the ‘Dealer of the Year’ award for 2018. A long-serving dealer of the Western Star Trucks, MAN Truck & Bus, and Dennis Eagle brands, Wakefield Trucks has provided outstanding support to customers throughout South Australia. Having recently celebrated its 40th anniversary, Wakefield Trucks was recognised for exemplifying the core customer service principles that Penske Commercial Vehicles champions for customers. “Wakefield Trucks has provided Western Star, MAN, and Dennis Eagle customers with fantastic service and support over the last 30-odd years, and it’s a pleasure to be able to recognise that,” said Kevin Dennis, managing director of Penske Commercial Vehicles. “In awarding this accolade, we assessed our dealer network, including independent dealers and our Penske-owned dealers, against an extensive criteria. For Wakefield Trucks, the award is due recognition of the hard work and commitment of its staff. “We really appreciate this recognition by Penske Commercial Vehicles,” said Brian Umpherston, dealer principal of Wakefield Trucks. “For Wakefield Trucks, this award is acknowledgement of the great staff in our dealership, and the loyalty of our customers.